In Greek mythology, Amalthea or Amaltheia is the most-frequently mentioned foster-mother of Zeus. Her name in Greek means tender goddess, which is clearly an epithet, signifying the presence of an earlier nurturing goddess, whom the Hellenes, whose myths we know, knew to be located in Crete, where Minoans may have called her a version of ‘Dikte’. Amalthea is sometimes represented as the goat who suckled the infant-god in a cave in Cretan Mount Aigaion – ‘Goat Mountain’ – sometimes as a goat-tending nymph of uncertain parentage – the daughter of Oceanus, Haemonius, Olenos – according to Lactantius — Melisseus, who brought him up on the milk of her goat. Having multiple and uncertain mythological parents, indicates wide worship of a deity in many cultures having varying local traditions. Amalthea becomes blurred with Adamanthea at times. In the tradition represented by Hesiod’s Theogony, Cronus swallowed all of his children immediately after birth. The mother goddess Rhea, Zeus’ mother, deceived her brother consort Cronus by giving him a stone wrapped to look like a baby instead of Zeus. 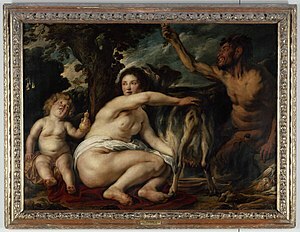 Since she instead gave the infant Zeus to Adamanthea to nurse in a cave on a mountain in Crete, it is clear that Adamanthea is a doublet of Amalthea. In many literary references, the Greek tradition relates that in order that Cronus should not hear the wailing of the infant, Amalthea gathered about the cave the Kuretes or the Korybantes to dance, shout, and clash their spears against their shields. A rock composed of compacted volcanic ash varying in size from fine sand to coarse gravel. Tuff is a type of rock consisting of consolidated volcanic ash ejected from vents during a volcanic eruption. Tuff is sometimes called tufa, particularly when used as construction material, although tufa also refers to a quite different rock. Rock that contains greater than 50% tuff is considered tuffaceous. 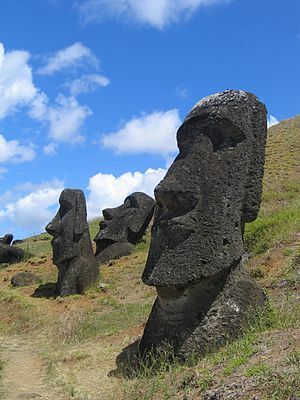 The products of a volcanic eruption are volcanic gases, lava, steam, and tephra. Magma is blown apart when it interacts violently with volcanic gases and steam. Solid material produced and thrown into the air by such volcanic eruptions is called tephra, regardless of composition or fragment size. If the resulting pieces of ejecta are small enough, the material is called volcanic ash, defined as such particles less than 2 mm in diameter, sand-sized or smaller. These particles are small, slaggy pieces of magma and rock that have been tossed into the air by outbursts of steam and other gases; magma may have been torn apart as it became vesicular by the expansion of the gases within it. The bystander effect or Genovese syndrome is a social psychological phenomenon that refers to cases where individuals do not offer any means of help in an emergency situation to the victim when other people are present. The probability of help has in the past been thought to be inversely related to the number of bystanders; in other words, the greater the number of bystanders, the less likely it is that any one of them will help. In 1968 a number of researchers launched a series of experiments that resulted in one of the strongest and most replicable effects in social psychology. In a typical experiment, the participant is either alone or among a group of other participants or confederates. An emergency situation is then staged—examples include smoke pouring from a vent in the room, a person falling and becoming injured, a student having an epileptic seizure, etcetera. The researchers then measure how long it takes the participants to act, and whether or not they intervene at all. These experiments virtually always find that the presence of others inhibits helping, often by a large margin. There are, in fact, many reasons why bystanders in groups fail to act in emergency situations, but social psychologists have focused most of their attention on two major factors. According to a basic principle of social influence, bystanders monitor the reactions of other people in an emergency situation to see if others think that it is necessary to intervene. Since everyone is doing exactly the same thing – which is nothing – they all conclude from the inaction of others that help is not needed. This is an example of pluralistic ignorance or social proof. The other major obstacle to intervention is known as diffusion of responsibility. This occurs when observers all assume that someone else is going to intervene and so each individual feels less responsible and refrains from doing anything. There are other reasons why people may not help. They may assume that other bystanders are more qualified to help, such as doctors or police officers, and that their intervention would be unneeded. People may also experience evaluation apprehension and fear losing face in front of the other bystanders. They may also be afraid of being superseded by a superior helper, offering unwanted assistance, or facing the legal consequences of offering inferior and possibly dangerous assistance. An example is the so-called Good Samaritan Law, limiting liability for those attempting to provide medical services as opposed to non-medical services. To render (someone) more bold or courageous. To encourage, inspire, or motivate another person to perform a certain action. In typography; to format text in boldface. The Mozart ear is a deformity of the pinna. 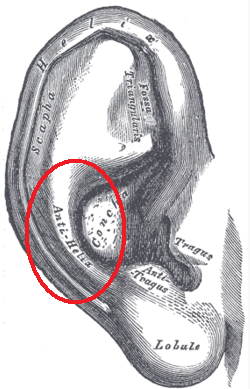 The pinna (the externally visible cartilaginous structure of the external ear) where the two crura of the antihelix (the curved elevation of the cartilage of the ear, within or in front of the helix) and the crus (an anatomical structure resembling a leg; usually a pair of diverging bands or elongated masses) of the helix are fixed, giving a bulging appearance of the superior part of the pinna. Wolfgang Amadeus Mozart, the eighteenth-century composer is said to have had this deformity. Einstein Syndrome is a term used to describe exceptionally bright people with a slow development of speech – unlikely to have conversations before age four. The main thesis is that late talkers are often inaccurately categorized as having an autism spectrum disorder and that a small subset of late talkers are actually highly intelligent children with common characteristics concentrated in music and/or memory and/or mathematics. It is difficult if not impossible to accurately assess the cognitive skills of a child who is non-verbal or minimally verbal if the testing is verbally weighted, which it typically is. It also addresses children with strong personalities resisting testing and scoring well below their capabilities.